I was once asked to teach more about urban survival “because all anyone ever says is that you have to get out of the city when disaster strikes.” I also came across a radio show host who ostensibly discusses urban survival every week on her show. Well, I hope she’s got a very creative mind because if I were to address “urban survival” it would last about one hour, because frankly, there’s no such thing as urban survival folks. When it comes to dealing with a bona fide disaster, you need to get out of the city, plain and simple. This means that there’s a reason why you “only hear instructions to get out of the city when disaster strikes assuming you expect to last longer than a couple of weeks, at best. The problem, though, is that the longer you wait to get out of the city, the more dangerous your exit will be and the more problems will confront you as well. Sorry. This isn’t exactly what you countless city-dwellers want to hear, I’m sure, but it’s a fact. (suburban dwellers don’t have it a whole lot better either.) The reason being is that when it comes to living without the standard systems of utilities and law in place, urban and suburban places become a playground for disease, lawlessness, and famine. Plain and simple. Since 2007, for the first time in history, more than half of the human population lives in an urban environment. So I realize that this article isn’t exactly “happy news” to the majority of you, but then again, that’s what makes it that much more necessary. Such statics mean that in dire circumstances you’ll be surrounded by more death, more disease, more crime, more want, more waste, and more desperation—none of which is ideal for safe and comfortable self-reliant living. Of course I’m referring to challenges on a large scale such as a massive earthquake, power outage, pandemic, or financial collapse. But even some of the more common crisis’ such as unemployment and long-term illness may be better dealt with further from the city due to decreasing costs of living, less pollution and other such benefits. But the focus of my article today is in dealing with the realities of a disaster that Mother Nature or perhaps an act of war would force you to face in your area. Sustainable Food Sources: thanks to our excellent transportation system in this nation, every grocery store refurbishes every 24-36 hours nowadays. (it used to be 72 hours) this means that in an urban environment you will have LESS THAN 30 minutes to get to a store, get what you want, pay for it with cash, and clear out safely. A store is the LAST place you want to be in such circumstances. Sure, Hollywood “end of day” movies always end up showing a city becoming desolate with plenty of food and water to loot by survivors, but the fact of the matter is, it’s not sustainable. At some point you will run out of such resources and it’s not likely that you’ll be able to create enough food on the cement deck of your apartment to feed your family indefinitely. This is one of the primary reasons why leaving the city life behind is vital. You’ll need to find your way to an area in which you can create a more sustainable food source in addition to the supplies that you’ve built up during your pro-active self-reliance times. Sanitation: If there’s any kind of disruption of services then sanitation in close quarters will be a proverbial death trap. You simply will not be able to take care of your waste for long before it becomes a part of your living quarters; or at the very least becomes a flag to marauding looters that you exist. If you can’t flush your waste then what are you going to be able to do with it when you’re surrounded by concrete and asphalt? After only 72 hours of losing sanitation services you will likely face some serious consequences. Yet, one more reason to get out of Dodge as soon as you even suspect there will be a problem or breakdown in services. The more dense a population is, the faster a problem will spread, whether it be a pandemic, fire, panic, etc. Crime: Criminals always take the path of least resistance. So lets say you are prepared with the butane stove with enough butane to cook a couple meals a day for a year, the fact is, as the survivors around you diminish and as the loot becomes more scarce, a warm can of Chef Boyardee is going to give away your inconspicuous living and your safety. Lights seen through your window or smoke exuding from your chimney will only serve to mark you as a target for the desperate criminals, with no law to protect or defend you. Even if you’re well armed with some sort of protection against incidental problems, you will not be able to hold off determined criminals for long. They will simply keep coming back with more until they have just the right number of allies to overpower you. I hate to say this, because it’s not exactly a peaceful thought, but it’s very naïve to think that such persons are only interested in your food or medicines you might have on hand. You simply cannot afford to underestimate the extent of evil that’s possible in desperate people. 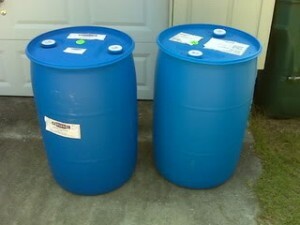 Water: Frankly, it’s challenging enough to find room for all of my water storage in a suburban home with a decent sized yard. It’s unfathomable to me to conceive of proper water availability in a city dwelling. Unless your last name is Trump, it’s unlikely that you benefit from a large enough space in which to store sufficient water supplies for a long-term challenge, and yet you simply cannot survive with good mental faculties without it. Yet one more reason why you've got to move to more spacious areas where you're likely to find more natural sources of water (such as dried creek beds, dew on the leaves) or wells and cisterns. Transportation: Bottom line, there has never been an example of necessary mass migration that has gone peacefully in the history of our nation. I watched a television series called “Survivors” some time ago. The premise was that a virus spread quickly throughout the world killing the majority of all populations. But for some reason the directors showed the aftermath of such a crisis with vacant streets and freeways almost everywhere. There is not a single fathomable crisis in which this is likely. Whether it’s an EMP, earthquake, or pandemic, you will not find yourself with free reign to travel on the roads as you see fit. Thus the sooner you make the decision to evacuate the better before gridlock compounds your problem of safety; and I would certainly be sure to be very familiar with the back roads instead of the main roads as well. Keep your fuel tank full as much as possible (and always above half at least) with an extra canister of fuel that you rotate each time you fill up, plus keep your car in good working condition, complete with a spare tire and the skills to change it. You never know when your life might depend on it. I also am consistent in plugging my cell phone in the charger in the car when I get in, even though it doesn’t need it. Why? Because if I do run into trouble I want to have the strongest possible battery in the event I’ve got to go a long time without the opportunity to recharge. I also keep at least a gallon of water handy in my car as well. During the summer some of the water in the jug dissipates, but I am certain to always refill it. Understand that there may very well come a time when travel is forbidden under the “wrong” circumstances. This is yet another reason why getting out of the city sooner rather than later is a favorable strategy. Keep in mind that any plan to relocate elsewhere must be supplemented by the resources you need to do so. A half tank of gas won’t get you from Ohio to Idaho, of course, and it’s unlikely that in such a scenario you’ll have unfettered access to more fuel. So either plan on taking your needed fuel with you, or be sure your place of refuge is realistic for the distance you’re able to travel safely in your vehicle or on foot—which brings a whole other set of considerations—tune in later for more on this topic. Medical: While you may feel some semblance of comfort now by living close to the pharmacy, understand that such will do you no good in a disaster scenario. Please do not live your life now planning on the pharmacy being a part of your “plan.” Always fill your regular prescriptions as early as you are able so that you can slowly build up a reserve for your necessary daily medications. The hospitals and doctors office may bring you peace of mind now, but in a crisis they will be nothing short of a death trap for you. And the longer you stay in the city environment, the more you will be exposed to whatever illness, mayhem, or death that will transpire. So you must get out in order for you to have the best medical chance of survival. This necessitates you having a working knowledge of how to best care for you and your family in the absence of a doctor and to stock up on alternative medical resources. (One of the biggest reasons that I’ve studied essential oils and nutrition for so long.) You also must be mindful of what supplies you need in order to protect yourself from exposure to any viruses, bacteria, or molds that will be stirred up in such circumstances, even if it is not already the cause of such a crisis. Air masks, latex gloves, aspirin/acetaminophen, etc. will all be necessary for ANY mass crisis. While you may not have a lot of these kinds of supplies in a “Bug Out Bags” I suggest you storing these kinds of items in larger containers that you can easily grab on your way out. The solution? 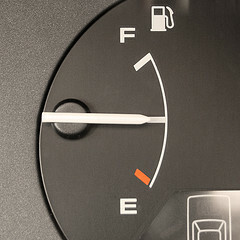 Always be sure that you never allow your gas levels in your vehicles to go below the half way mark. That way you’ll at least have some fuel to get out of the city without having to fight with the masses for fuel on your way out. 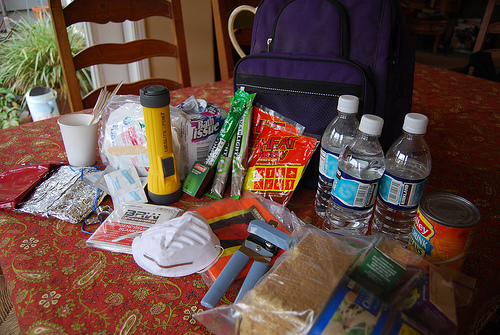 Be sure you have plenty of supplies in your “Bug Out Bags” (see complete list here) and that you also keep one inside your vehicle in the event that you are not able to get to your home before it becomes evident that you aren’t able to return to your home. (Think of the folks who were coming home after their homes had already been cordoned off for flood control or because of a forest fire. They couldn’t even get to their “72 hour kit”. You want to at least give yourself a fighting chance with what you’ve got in your car.) Pre-Plan with your family and friends with an action plan that you will implement in order to relocate elsewhere in the event of an emergency. Have a Plan A and a Plan B and even a Plan C. Be sure you, your family members, and close friends are all familiar with the contingency plan for when you are displaced from your city home and most importantly be sure that ALL of your family members are aware of this plan in the event you get separated for whatever reason. (I also suggest that you have password phrases which you use to communicate with one another when the launching such a plan is appropriate. If such an option is not viable for you then I suggest you make friends with the likeminded folks who are a part of our blog here or our Facebook Group as well as other similar groups available throughout the internet. Yes, you and your family can easily endure a week or two in the city presuming that the utilities and government systems stay in place, but if there’s any doubt in your mind that such will be the case, it’s vital that you get out of Dodge sooner rather than later. Ok. So this wasn’t exactly the most peaceful article I’ve written over the years, and perhaps that’s why I haven’t written much on it sooner, but the conversations I’ve had with the majority of my friends and family lately have provided me with the urging I needed to write this out. I still feel strongly though that even a scenario like this can be converted from an “emergency” to an uncomfortable transition in our life if we prayerfully prepare today for the possibility of such circumstances now. powerful artical!!!!! I still have lots to do, but am even more determined.I don't know what we would do without you, honestly. The link on your bug out bag list is not working just thought you might like to know. I have been thinking on this for a while and all the things you mentioned are ones I have thought of. Still don't have an answer but will continue to work and think on it. Thanks for the confirming thoughts. Great article Kellene! I escaped from the city of Chicago, back to the country life of North Carolina four years ago. I tried to get friends and family onboard but they thought I was being negative. Actually, I'm very happy and stress-free knowing that I'm aware of what is happening and preparing for the future. armegedon" it was on the Green channel and it said it was a series/special. It came on at 12.pm mountain time. on friday. Normally these shows are just pooie.....but this one was good....very good....It told us all of the things that you have been saying for years (just not in detail, like storing waxing cheese etc) It showed what happens to people when they are hungry, how some band togetther for mutual defense or even gangs....I even learned a couple of things that I have never thought of....I would recommend that anyone....who can watch this show.do it Was put together very well by .quiet a few very smart and highly skilled people. I watched the same show. There were a couple of instances which I thought were ridiculous, but I have to say, it's the best mainstream attempt at addressing the topic that I've seen. Have you ever noticed, when going thru a city on the interstate system, that you will find those concrete pylons or whatever you call them, stacked up on the roadside at major intersections - especially at the city limits? These could be moved by crane very quickly to block entrance to/egress from the city Just take a look as you travel. Another reason to GOOD - and soon! Amazingly...with high unemployment, foreclosures, and $4 per gallon gasoline, country property prices continue to increase. If we didn't already own our acreage, it's the first investment I would make. There's no worry about getting out of Dodge when you're already out, or worrying about transporting your food and other supplies. As Kellene suggests, prayerfully seek the place where you can live (and prepare) in peace. This is one of my concerns-our oldest son and his family live in NYC. Thanks for another great article..I worry about this.We are in the country, but a city is only 12 miles away.The only thing that conforts me is when the hurricane(Ike) came last time most people went as far as their gas would take them which was past us. We are off the highway too by a couple of miles.You bribg up a good point about death ..bodies both people and animals..after the storm the flies and misquitoes were terrible. Must stock up on more bug spray. Diatomaceous earth would be an asset in such circumstances, Terrie. Just FYI. I use DE already.Feed it to my dogs,cats,chickens,goats and pig.Also to myself.My dad use to use it in the garden and on the lawn.Sometimes in the south you have to use other things as well.But thanks for thinking of it it really does help.Also keeps the animals water from getting that funky green stuff in it. I watched a number of episodes of the post-pandemic show "Jeremiah" which takes place 30 years post-collapse and just couldn't stop shaking my head over the fact that the hero: A) drives around in a perfectly wonderful car, which hasn't suffered the least amount of deterioration in three decades; B) seemingly has an endless supply of gasoline for said car; C) Is never in any danger of having his car - which is possibly the only functioning car on the continent - hijacked; and D) Drives around at regular highway speeds on roadways that don't have so much as a pothole or a fallen leaf laying on top of the pavement. In three decades time you won't even be able to tell where the roadways were, much less still be able to see the lane markings. Where is the bug out bag link? Dave you really don't need a specific bag for that purpose,heck a duffle bag works even those od flight bags with the 2 handles and a zipper down the middle would work even old army rucksacks. Probably save you some coin as well to spend on other very necessary preps. I would suggest being particular about which bag you use if you have any physical conditions which need to be addressed. For example, I have this great older couple that I'm friends with and the thought of them strapping on a backpak or lugging a duffle bag just isn't realistic for them. So they use rolling suitcases with swivel wheels for ease in handling. You can put bug out bag in the search bar and it will take you right to it. This is a great article. In my case, I have older parents who may not be able to leave the city and who I can't leave behind. I will have to prepare as best I can and hope, if that time comes, I have the answers I need. Kellene, my wife and I live in a town of about 60,000 residents, with a total county population of about 100,000, but we're surrounded on all sides by farmland and we have many friends in the farming communities. Is there a population threshold at which a city becomes a greater danger? We live in the Midwest, and people here are pretty independent-minded. I should also add that we're not really in a position to move to a more rural setting at this point, due to my wife being handicapped, but we have lots of family in this area. Kellene, you know I respect you and my reply will probably upset some of the head bobers, but I am conflicted by your latest article. Although I agree with the Premise of the article and agree with most its content. I also believe that it is based on your perspective which it should be. As for many people they will simply have no choice but to commit to thier survival in place. I also believe they can take steps to increase their chances of survival in place no matter thier location although the challenges are far more difficult in the cities versus sub-urban and urban areas. I have often written and taught people about the dangers city dwellers will face in times of emergency as well as the dangers of Country life because they to are fraught with peril. I admit is is self serving of me to suggest people are capable of surviving in place because as I mentioned WE teach just that. I will conceed it will be more difficult to survive within the cities borders rather than living on a farm and being self sufficient. However, many "farmers" are not self reliant and must rely on products from the city. I absolutely agree with your article's content and suggestions about preparedness but do not agree that survival in place is hopeless. There are dangers in everyones location and we should prepare for them and yes even the unspeakable ones. Thank you for your article as it helps people in the preparedness community plan their actions before acting on their plans. thank your contributions and for all you do. God Bless. I'm with Nick....not in a position to move to a rural area. There are presently no jobs there for the line of work we are in. ; ( Catch 22. My husband owns property in a very small rural town out of state. We'd like to build on it, but can't seem to sell our house. Obviously, whatever we get for our house is our building budget, but there just isn't anyone interested in buying in our state. We're now thinking of buying an RV trailer to put on the property just so we have a place to go, but money is tight, and everyone who is selling a used one wants all of the cash right away. We haven't found anyone willing to take payments. I live in the rural desert. I'm OK out here, but I am concerned about being away from home when an event happens. I have detailed state maps of where I'll be, and enough gas to take alternate routes home. Then it sounds like you've done all that you can. Be sure you've got supplies in your car at all times too. Kelleene, I don't know if I entirely agree with you. In a idea situation getting out of Dodge ASAP would be good. But I think we would all have to have everything lined up perfectly to do so. And a lot of people just can't do that for many reasons ie. missing family members, needing medical care, unable to leave jobs (police, firemen, medical professionals etc.). Also if it were a panepidemic situation, do you really want to be out there with all the potentially infected people? Earthquake, or natural disaster with roads destroyed or blocked? This is a difficult decision to make, one that has to be made based on the special circumstances. But once a decision is made yeah get outta there FAST! Just don't be afraid to make a decision one way or the other. Commit to whatever your decision is and be prepared for the worst. Yes plan A, B, and C.
There's another opinion out there that makes it a tough decision. Most survivalists know about Ferfal of the Surviving in Argentina blog. He lived through an economic collapse and said the biggest problem they have is crime. But he says the worst crimes are committed in the countryside, where law enforcement can't get out there in time to stop gangs of marauders from breaking in and even torturing residents to find out where they have more food stashed away, and killing them. Maybe it will be different here, who knows? Though I agree with you completely that survival in the city in the long term is nearly impossible, I have another point of view on when to bug out. Even if you have warning, say, a half hour in advance, how far out can you realistically get in that time? The city doesn't just end. the sprawl slowly peters out into suburbs which have their own issues. It isn't like if you leave right this second that you won't hit traffic in a mile. By the time you get on the highway, others will have heard and it will be a parking lot. Seems simple enough, avoid the highway: but chances are others have thought that too and the side/back roads will be jam packed as well. This is assuming you have warning. Realistically, you won't. It's nice to think that we'll have advanced notice because our super-prepper powers keep us aware of things others would ignore, but it's simply not true. We're fallible human beings too. There are really only two options for realistically bugging out of the city, Right Now, or a few days/weeks after. If you leave now, you can set up a home elsewhere, a job, a life. This is the best option, but isn't always possible. The other option is to plan to shelter in place for three weeks to three months until the majority of the horde has left. If you set out at that point, the roads should largely be yours. Plan to navigate around stalled cars, take back roads, and avoid towns if possible. In Utah County, whenever the freeway backs up, all the side roads back up too, because they're just not equipped to handle that much traffic. You take almost as much time trying to get around it as you would just going through. I disagree. I think your definition of "side roads" is quite different from mine. When I-15 backs up, 89 is NOT the place to be. I've consistently navigated true side streets to avoid the traffic--especially when there's a snow storm. Again, just using side streets is only a part of the solution. Getting out early is critical. Similar to razr's comment, I recently watched the post nuclear bomb show called Jericho. With 29 episodes before it was cancelled, this small town had to figure out all the logistics of how to survive after more than a dozen nukes landed on American cities. Very interesting and informative. I think it's great that somebody besides myself is willing to talk about the hard topics. I think you were very gentle,I have already moved 65 miles out of the city, and still have taken extreme precautions in the event that people will migrate out to our area during this type of event. We have put back up food and water in underground bunkers in the event that our above ground food storage is over taken. We have also played escape routs off our protery in case of such an event, negociations with food as a gift is our fist option, firearms our second option and escape our last option. We have installed survaeillance cameras and intercomes at our gates and borders to try to deal with this at a distance. The last thing we want is violence we have purchased extra food to be able to share and help, but will resist force. I think it is extremely important to play out all possible scenarios prior to any such event as not to panic or even worse hurt somebody or get hurt yourself. We are probably a little extreme when it comes to survival, you know solar, gardens, live stock, fish pond, self defence, faith, basicly self contained. But it's better to over react than to under react. It kind of bums me out that your situation is identified by most as "extreme." To me, it's paradise. We purposely picked our new house in an urban area that was less urban, considered "safer" than other areas of the country, and tucked away. By chance, after we bought our house we discovered it was less than half a mile away from the FEMA regional headquarters for several surrounding states and Alaska. We are still trying to decided if that is a good thing or a bad thing;') My question is should I embrace this neighbor and learn as much as I should about it and its plans and offer to help or stay far away from anything FEMA. It is quite the complex and looks very interesting. You know what they say...keep your friends close and your enemies closer. Either way, yes, I would be getting as informed as possible without giving ANY of your info away. Play dumb and naive if you have to. My two cents. 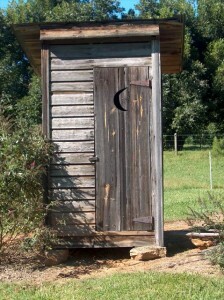 Sort of a technical question- I know if my water is turned off I can use a bucket to flush to toilet. After a point this doesn't work, right? I also read that using the sink is a no-no because if things do get turned on again, it could all back up into the house? 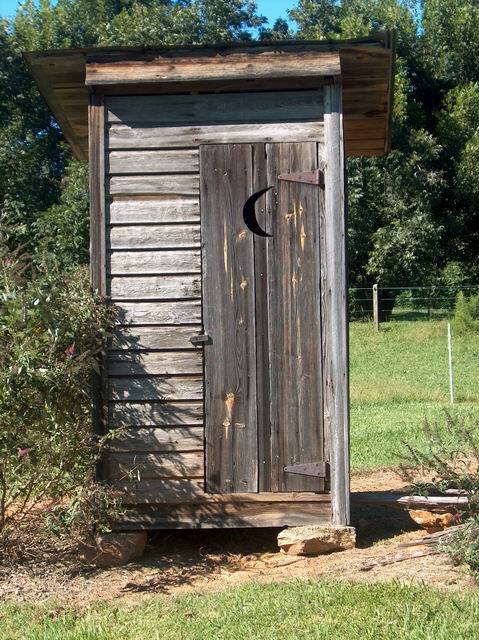 The article written recently on sanitation will answer your question thoroughly. Just do put it in the search bar. I have a serious question,would a bike be a good way to get out of town? I think that if traffic is backed up,then a bike or motorcycle would be the best way to get out of town. I guess as long as my bug out bag isn't too heavy for me to ride and carry then it would be a good way,right..? It is an alternative, but even with that, you would still want to avoid major roads. There is a vulnerability with a bike, but there's also a great deal of universal application. Remember a bike tire repair kit. Good point. But it would only be for a few miles. There's a place I plan on going for a while. There I'd have at least the four wheeler and if the rest of my family got out there,we would have a car and a truck. In case we needed to leave that place to go somewhere else. When hurricane Sandy hits the East coast, we'll see how prepared people really are. I hope everyone will be alright. I am planning to pay attention to what problems people face and plan from that also. You stated a lot of things we have been working on and thinking about. We are in a rural area and the bad guys would have to get thru our neighbors before getting to us.So that gives us a little security. I worry about my Mom though She live close to a nuclear power plant and there is only one road out to safety that everyone will be on. She says if she can't get to us she will go to her friends house. She trusts them. I don't think they are prepping so that is no comfort to me.I hope that we don't get into a crisis scenario before our preps are in place. Once again you have hit the nail on the head with this article. I truly believe we will see a national event of some kind. I have been prepping for a long time. Didn't know it was called prepping till I found your site. I have found numerous tips that I know use. We live in a rural place with 15 acres, raised our daughters to be self sufficient, and they are raising their children the same way. I guess my biggest concern are the hoards of people that will roam the country to take what you have because they were to lazy to prep. I think that we are making a whole lot of faulty conclusions when we envision hoards of people headed to the country. Violence, stubborness, lack of skills, etc. will be a great impediment to the people who haven't prioritized such a move now. IMO.